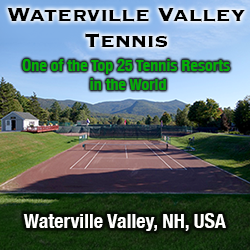 Gather your group of 4 or more and spend the "Best Weekend in Tennis." This 4-day/3-night, Thurs-Sun. package bundles 8 hours of group instruction, a round robin, and unlimited court time with accommodations in a deluxe villa in Harbour Town steps from the courts, a welcome party (hosted by Stan Smith when he’s available), daily breakfast, a lunch, and prizes. Customize your tennis package by calling 1-800-732-7463 or visit Best Weekend in Tennis. Wimbledon and U.S. Open Champion and former World No. 1 Stan Smith conducts a fun-filled weekend clinic at the Sea Pines Racquet Club. Over the course of nine hours (3 hours each day), Smith and his staff will focus on stroke and strategy instruction, footwork, and many practice drills as well as videotape your serve. Student:pro ratio never more than 4:1, ensuring personal attention. Open to players 17+ years old with an NTRP rating of 3.0+. For more information, visit Stan Smith Super Series.